Last year was a watershed for FoodWorks. We firmed up our affiliation with Global Solutions Group (GSG, based in Dubai) and reached some decisions about the future of our company. The first MAJOR decision is to re-orient our work towards private sector investing that makes an impact on development in agriculture and agriculture-based industry. The publicly and donor funded development aid industry certainly has its place in our business, but we feel the thrust of rural development and human nourishment will now be taken up more by responsible private-sector companies investing directly in agriculture and agribusiness. Of course we will retain our valued core donor clients, but will focus more on impact made through profitable commercial investments that nevertheless safeguard the interests of the vulnerable stakeholders. In order to develop this approach we have had positive contacts with companies that channel donor funds into the private sector, for example, AgDevCo, which has a model we really like. I'd also mention Tractus-Asia, a respected management consultancy with which we have been in associated for many years; Tractus has a firm base in Asia and forms a link between the wider commercial and industrial world and our more specific activities in agriculture and food supply. In re-focusing on impact investment we have decided to focus on our CORPORATE capacity rather than the expertise of individual experts. As a COMPANY FoodWorks has a track record of successful business since 2003 and we wish to trade on this past performance and experience rather than "sell" individuals no matter how senior they may be. Our Senior Associates and Partners will remain with us, but we will now expand the range of technical expertise and skills available to us and offer the services of the company rather more than particular experts, although individuals will still be made available on request as client's require. 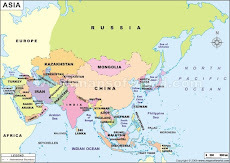 Finally we have confirmed our focus on the areas where we have the greatest expertise: Sub-Saharan and Northern Africa, Central Asia and most especially South-east and East Asia. However FoodWorks' home(s) are in Hong Kong and Bangkok and we feel this link with Asia is one we should celebrate and build upon. 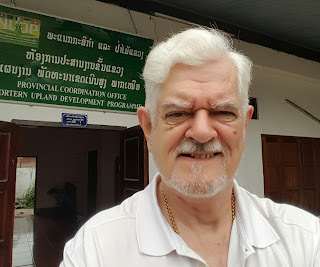 That said, 2015 saw the completion of work in Cambodia (ADB - rice infrastructure and policy), India (The World Bank - irrigation economics) and we are now currently working in Laos on livestock, coffee and cardamom (Northern Uplands Development Project - to complete in March this year). With our new focus we have a private sector initiative in developing an animal feed business in Thailand based on Napier Grass and further emerging plans for horticulture development in the south of Laos. Africa retains its place however and our affiliate office with GSG in Lusaka Zambia is pursuing a bio-fuel project. With all this in mind the next step is to upgrade our web site. The "blog", chatty style adopted here satisfied a purpose when we set out as a group of senior experts working as a cooperative, but we will now be moving to a different and modern style to reflect the corporate approach.